The holidays are almost upon us and you know what that means: Time to Treat Yo’Self! Nike supports your addiction to tennis clothing with their new Holiday Collection! Four new colors are featured in this collection to let your opponents know that yes, you are walking on court in the newest clothes ready to dominate the match! Copy and paste these color names and color codes, in case you want to share them with your team: Fire Pink – Code 640, Bright Mango – Code 890, Purple Dynasty – Code 524, and Ember Glow – Code 850. These numbers will help you make the exact same color choice and avoid a lot of drama over matching with your doubles partner for your next match! You can even send out our video review to your teammates! Nike started to blend bold colors at the US Open this year, and we loved the look! Now, you have more choices for pops of color wearing the Court Flex Victory Skirt! The Purple Dynasty/Mango combination would look great with the Slam Tank in either color,while the Purple Dynasty/Pink Fire Combination would work with the Purple Dynasty or Fire Pink Slam Tank. My suggestion: Buy both skirts and one purple dynasty top! You’ll be set for 2 outfits with just 3 items. Your Pure Collection favorites are all still made with the features you love: wider cut, double panel front for modesty, and the softest dri-fit material that’s ever been made! With so many color choices for the dress, the tank, the top, and the Pure Skirt in 3 lengths: 11 and three quarter inches, 13 inches and 14 inches makes this a favorite choice for league teams everywhere! Every lady on the team can find something to fit well. And we all know: the more confident you feel in your outfit, the better you play on court! Even though Nike is keeping a lot of your favorite styles from previous seasons, they’re always looking to offer something new that’s innovative and on trend. This season, Nike is introducing the Tennis Skapri. I love this piece because it’s going to keep my legs warm in the cold winter months, but it works like a regular tennis skirt with ball pockets underneath the skirt on both sides. There’s a couple of things I want to point out about this new item: the leggings are full length that go all the way to your ankle, the skirt has rouching on the side seams for a more flattering fit, and the wide waistband helps everything stay in place. I can definitely see these bottoms in my future this season! Speaking of keeping warm on court, there are several tops in this collection that help out in that department. The baseline top is back in both short and long sleeves. The pros love this look for practice, and I can see why. 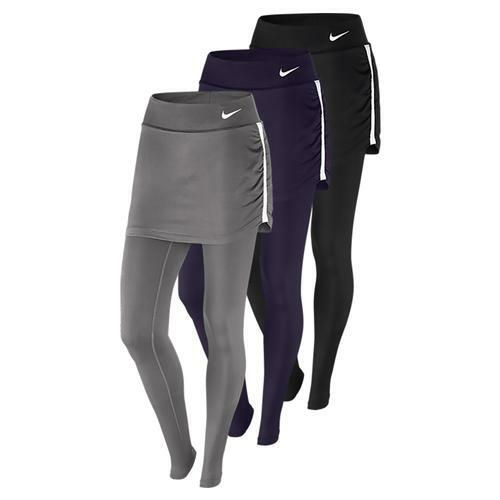 The wider cut and heavier material is very comfortable and easy to wear with any bottoms. 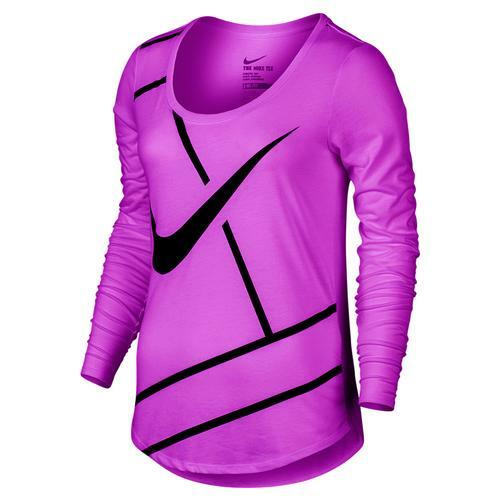 You’ve also got the NikeCourt Long Sleeve Tennis Top, which has three quarter length sleeves and an adjustable zipper that makes this a great choice to wear alone or as a layer. If you’re looking for more protection from the cold, consider the Nike Premier Jacket in this season’s new colors or the NikeCourt Jacket in black or white to match any season’s colors. If you like to complete your look with visors, socks, and shoes, then well…You’re my kind of girl! All of these new colors are carried into your favorite shoe styles: the Zoom Cage, Serena’s Flares, and the popular Zoom Vapor 9.5! Complete your look before your size disappears! ← Top Tennis Express Products!